Hi! My name is Corey and I am so excited to be part of the Sorted Out team! I went to Texas A&M University where I majored in International Studies with an emphasis in Latin American Communications. I love to travel and have been lucky enough to visit 5 out of 7 continents. I got married in November of 2017 to the love of my life Charlie and now live in the Lake Highlands area with our dog Bruce! My husband thinks I’m crazy but I absolutely love the idea of moving and organizing our home—the thought of getting rid of a few things, packing, and creating an organized, functional, and inviting home for us really excites me! I have always enjoyed organizing even from an early age. Before I came to Sorted Out, I was working for my church as the Coordinator of Short Term Missions. It was a dream getting to travel the world and becoming exposed to so many new cultures, languages, food, and people. During my time with the church, I organized 10-15 trips a year where I was responsible for planning all the logistics including airfare, lodging, transportation, trip schedule, trip meetings, etc. Through this experience I came to realize and develop my passion for organization even more and understanding all the benefits that come with it. 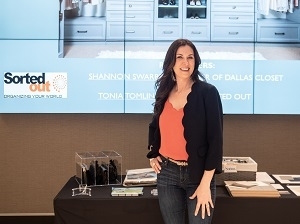 I am so excited to be working for Sorted Out and am looking forward to helping others create their own beautiful, organized, and inviting spaces. I truly have a passion for people, organizing, and using my gifts to help others. I would love the opportunity to meet you and help you achieve your organizational goals! 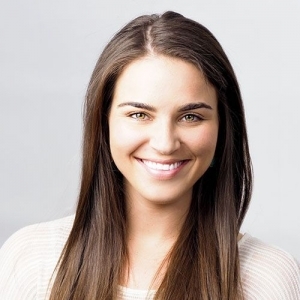 Through the ICD, Corey has completed her Foundation Certificate for CD clients. She has the capability to work with the chronically disorganized and ADHD/ADD clients.